RewardExpert analyzed over two million wine reviews to determine the best locations in the United States for wine, both in terms of quantity and quality, and some of them may surprise you! Wine quality is notoriously difficult to gauge, at least objectively speaking. As often as not, rankings of top wine destinations rely solely on the quantity of wine produced, or the total number of wineries found within a given region. When this is the case, we see the same places come up time and time again. RewardExpert set out to do things differently. We wanted to produce a ranking that accounts for both wine production volume and, more importantly, wine quality on an objective, data-driven basis. We wanted to know what regular folks felt about wines available from American vineyards and wineries. To do this, we analyzed a data set containing over two million wine reviews and ratings from CellarTracker and matched reviewed bottles of wine to specific wineries registered with and permitted by the U.S. Treasury Department Alcohol and Tobacco Trade Bureau (TTB). With this data, we could produce this ranking of the best wine producing areas of the U.S. down to the three-digit zip code level. The wine ratings in our data set range, in principle, from zero through 100. In practice, we found precisely zero reviews that rated a given bottle of wine below 70. We can only speculate as to the reasons for this phenomenon. For our purposes, we transformed wine ratings into a percentile ranking in order to facilitate a more precise calculation. We attempted to match as many wine reviews to wineries appearing on the TTB’s Permitted Wine Producer List. However, we could only find wine reviews for wines produced by 2,377 of the total 12,168 wineries found on the list. This could be accounted for by inactive wineries, or those with small production volumes or limited distribution. The area surrounding Coshocton, in east-central Ohio, is home to nine wineries and vineyards and 64,206 residents, or 1.40 wineries per 10,000 residents. Coal-country Ohio might not strike one as a top wine destination, but Coshocton is home to the most highly rated winery in the U.S. in our data set, and the highest average rated wines. Second-place Easton, on Maryland’s Eastern Shore, likewise does not grace many top wine destination lists. However, the area’s 23 wineries and vineyards to 174,919 residents rates in the 95th percentile for wineries per capita. Wines produced in the region received an average rating of 94 (out of 100), making the region one with an abundance of high-quality wines. While the Finger Lakes region of Upstate New York is better known—it is home to a greater number of wineries both absolutely and per capita—the Hudson Valley region, centered on Kingston, New York, produces wine that has received better ratings. With about 150,000 residents and 11 wineries and vineyards, the region is no slouch when it comes to production, ranking in the 89th percentile for wineries per capita nationally. Coming in at fourth place is the Eastern Long Island area centered on the town of Riverhead, which is coextensive with the Eastern half of Suffolk County. With an impressive 3.47 wineries per 10,000 residents, this area lands in the top 1% of all zip codes nationally for the number of wineries per capita. Wine quality, as expressed by average review ratings, is somewhat mixed, although consistently quite high, with an average rating of 93.02 across 86 wineries and vineyards. For a stop on the beaten trail, we find fifth-place Sacramento, California. California’s capital region is home to a total of 31 vineyards and wineries, and so it lags significantly behind fourth-place Suffolk County, NY. This is mitigated, however, by the fact that wines produced in the Sacramento area receive modestly higher ratings on average, with an average review rating of 94.20. The Oregon side of the Columbia River Valley, centered on Hermiston makes our list at sixth place on the strength of highly rated wines and a high number of wineries and vineyards per capita. With an area population of 148,834 and 25 wineries, there are 1.68 wineries per 10,000 residents, which lands the area in the 97th percentile. Wines produced here have an average review rating of 93.20 across all wineries and vineyards, making it likely that any randomly selected bottle will be a good one. The area around Albuquerque, New Mexico, comes in at number seven on our list. The ranking is based more on the strength of the average ratings of wines produced in the region than on sheer numbers, as is fitting for a less than expected pick. The 14 wineries in this area (0.69 per 10,000 residents) places a respectable 86th percentile, however. Wines produced in this region were rated an average of 94.25 on a hundred point scale. Coming in at eighth place is the greater Spokane Valley region in Eastern Washington. Home to 151,000 residents and eight wineries, this area ranks at the bottom of the top quintile for the number of wineries per capita. What the Spokane Valley lacks in quantity, it makes up for in quality: it is one of four regions on our list that tied for second place for average wine review rating with a rating of 96.00. Our ninth place entry is certainly off the beaten track. Anchorage and its environs in southern Alaska do not come immediately to the minds of many when the word wine is mentioned! And while there are fewer vineyards and wineries here than in our higher ranked locales, Anchorage is part of a four-way tie with New York’s Hudson Valley, Washington’s Spokane Valley, and tenth-place Texas’ greater El Paso region for second-highest rated wines. While there are only a handful of wineries in the Trans-Pecos region of West Texas, the area is sparsely populated, leading to a respectable per capita rate. Moreover, wines produced in the region have received the second-highest average review rating in our entire data set (tied with Anchorage, Spokane, and Kingston). This makes the region a destination that is far off the beaten track, but a hot spot for high-quality wines. Wine is great, and your credit card should be, too. Whether you’re at a winery, dining out or just grabbing a bottle at your local grocery store, the right credit card can save you money. There’s no reason you shouldn’t get a little extra from your card while you’re enjoying a nice glass of wine. There are number of excellent cashback and travel rewards credit cards on the market that can do that for you. Let’s take a look at some of the best options. Perhaps the best time to enjoy a fantastic bottle of wine is while you’re eating a great meal. There are several cards that offer bonus points or cash back at restaurants. The Savor Rewards card from Capital One is designed with foodies in mind. You’ll get unlimited 3 percent cash back on dining, plus 2 percent back on groceries. Add a $150 sign-up bonus, and it’s hard to beat this no-fee card if you love food. If, however, you rarely cook at home, the Uber Visa card is even better. You’ll get an impressive 4 percent cash back on dining. That includes bars, too. 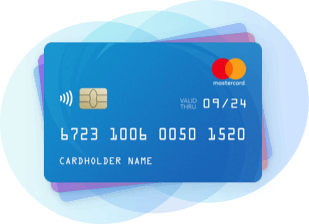 Add to that a 3 percent return for hotels and airfare and 2 percent for all online purchases, including Uber rides, and this is one fantastic card for a frequent traveler. If you’re looking for a bonus for winery tastings, you need to know that those purchases are frequently categorized as entertainment. That means that you should consider getting a Citi ThankYou card. All three ThankYou cards in Citi’s lineup will give you double points for both dining and entertainment purchases. Whether it’s the ThankYou Preferred, ThankYou Premier or Prestige card, you’ll be set. Plus, you can use all those extra points to buy plane tickets to visit your favorite wine region. For those everyday wine purchases at your local grocery store, the Amex EveryDay Preferred card will get you three points per dollar. Those points can be used for everything from cash back to free flights. If you’re eager to get even more from your card, the Chase Freedom card often features supermarkets in its quarterly rotating bonus categories. That means a whopping 5 percent cash back. That’s hard to beat. It’s nice to keep things simple, though. And if you want one card that can do it all, including offering a bonus for wine purchases from anywhere, you could get a cash back card that offers a fixed rate of return for all purchases. The Citi Double Cash card is perhaps the best of these cards since you can get 2 percent cash back for everything. No matter how you prefer your wine — in a tasting room, with a great meal or on your back porch in the summer — there’s a credit card for you. Why not save a buck or two while relaxing with your favorite bottle? 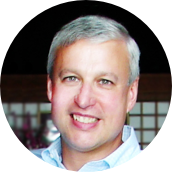 RewardExpert spoke with David H. Bova, vice president and general manager of Millbrook Vineyards & Winery, Inc. for his expert insights on the advantages and challenges of managing a vineyard. Vice President and General Manager of Millbrook Vineyards & Winery, Inc.
1. What factors influenced your decision to select your location for your winery/vineyard? Several business and several viticultural. 1) Viticultural: the property is 130 acres of mostly hillsides. The hillsides face west and south for maximum sun exposure and also cool air drainage in the spring and fall. The soils are mostly gravelly loam with a little clay on the hillsides. Very well drained soils for grape growing. We knew the Hudson River Region was one of the coldest in NY State to grow vinifera grapes so we made sure we optimize the site for our viticultural site. 2) Business: 90 miles from NYC/NJ so we had a huge metro market to attract customers to our door. Dutchess County has a long history of agriculture and is one of the most beautiful places in the world. The Village of Millbrook is a quaint and picturesque town with lots of NYC weekenders who live here. 2. What advantages / difficulties does the local environment present you with? The state/local governmental organizations could not be more helpful today. It was not like this in 1983 when we started. Today, they want tourism dollars and know wineries can be a big part of that. Our biggest challenge is our winters and getting a decent grape crop each year. We see bud damage at 0F so severe winters like 2015 when we got down to -15F left us with 25% of a normal crop. Hard to build a thriving business when our estate fruit is so variable. 3. What challenges, if any, do you have in marketing your product? Acceptance of NY wines in general. People still don’t think NYS can create great wine. We consider ourselves a regional winery producing and selling about 15,000 cases of wine. 60% is sold out our front door as we have developed quite a tourist and local following. We have marketed ourselves for Day Trippers and provide food on weekends, Jazz on Saturdays, and have generally become very event centric. Serving local products and the Farm to Table movement have certainly helped a great deal too. 4. What do you think your location contributes to your product? I think our location is one of our strongest marketing themes. Dutchess County is extremely easy to get to via car (on the beautiful Taconic State Parkway) or Train from NYC, NJ. CT and MA are close by too so we have a huge marketing area. Even though Dutchess is a large county, the beauty of Dutchess is unparalleled. The abundance of culture - history, arts, culinary, agriculture – is quite amazing for one county and we are very lucky that we have it all in Dutchess. RewardExpert started by accessing the Permitted Wine Producers Database provided by the U.S. Department of the Treasury Alcohol and Tobacco Trade Bureau and compiling a comprehensive list of all wineries and vineyards in the U.S. as of March 2018. Then, we calculated a total number of wineries in each three-digit zip code area and computed the number of wineries per capita using U.S. Census Bureau population data. We obtained a data set comprising 2.02 million wine reviews scraped from CellarTracker by researchers at Stanford University. We cross-referenced winery ownership and operational names against the wine review data set’s wine name field and calculated average ratings for each winery. We then calculated an average rating for all wineries within each three-digit zip code area. Our ranking was calculated on the basis of wineries per capita (single weight) and average wine rating (triple weight), both expressed as a percentile ranking. U.S. Department of the Treasury, Alcohol and Tobacco Trade Bureau, Permitted Wine Producers Database. U.S. Census Bureau, GIS boundary data and population estimates.